OneOceanDiving's ongoing correlation studies look at shark movements by species, gender, depth profile, and season. Baseline information for individual animals is recorded, and new sharks are added to their photo ID program. The Shark ID program significantly reduces the need for tagging to determine site fidelity and assists in accuracy of survey counts. OneOceanDiving has over 200 sharks in their ongoing photo ID database. Deep water camera systems (up to 500 feet) are deployed to study shark movements at every depth at survey sites. OneOceanDiving is also unique in that it allows people the opportunity to get in the water and free dive with sharks face to face in an effort to change any preconceived notions people may have about sharks. While Oceans Research works with both terrestrial and marine organisms, they are leaders in ecological, physiological, and behavioral shark studies in South Africa. They have ongoing research in White Shark population dynamics, habitat use, satellite tracking, genetics, predatory behavior, bite strength, and thermoregulation. Additionally they are doing physiological research on shark tonic immobility and morphometrics. They also work in tagging multiple other species of sharks within Mossel Bay to gain a better understanding of their life history as a whole. Their genetics work with the smooth hammerheads of Mossel Bay has helped to establish kinships within the smooth hammerheads of this area. 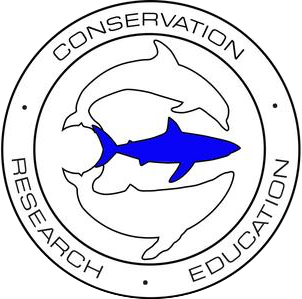 Oceans Research aims to provide innovative and relative research for the management and conservation of South Africa while providing training to aspiring researchers and educating the general public. The Whale Shark and Oceanic Research Center (WSORC) is a Honduran-registered NGO located on the island of Utila. Utila is one of the few places in the world where whale sharks can be seen year-round, and sightings have been reported in every month of the year. WSORC helped establish the "Whale Shark Encounter Guidelines" for sustainable eco-tourism on Utila in 2008, and works year-round to protect the visiting and resident whale shark populations, by encouraging healthy interactions between whale shark and tourists. WSORC's primary research goals include whale shark population dynamics studies based on non-invasive photo identification, as well as behavioral assessments when faced with sustainable vs. unsustainable tourism. Other areas of research pursued include the management of invasive lion fish and long-term reef health monitoring through fish diversity, abundance surveys, and benthic planar imaging. WSORC offers college-accredited internships for budding marine conservationists to gain experience in scientific scuba diving and practical conservation science.